The courage to write this blog post was deposited into me whilst standing in worship one night in church. I hope it helps at least one person. Almost exactly ten years ago I found myself in a very dangerous situation. Taken down an alleyway, I was attacked and sexually assaulted. No one came to help. No one responded. Afterwards, I was left there alone in the rain, crying. I never told anyone at the time; shame consumed me. But as hard as I tried, I couldn’t move on. Symptoms of Post Traumatic Stress Syndrome began to determine the course of most days and the nightmares forced me to relive the memory over and over. I felt stripped of who I was and began to think thoughts I would never wish upon anyone. I have never felt so alone in my life, I remember thinking; even God must have closed his eyes in that moment. After a few years I found myself enrolled at C3 College, studying songwriting and recording an EP. Despite battling shame and being unable to draw inspiration from anything except my most daunting memories, I knew on the other side of these songs were women who had suffered in silence just like me. Months before my EP launch I couldn’t finish the song about this incident. Reece (my now wonderful husband), knowing I was struggling, drove over to my house, gifted me a bouquet of white tulips and drove me into the city to confront where it all happened. We wandered the dimly lit streets until eventually I recognised the alleyway. Through grief-stricken prayer I cried out to Jesus, "Where were you when I needed you the most?" He heard me, and he showed me. In that moment I relived the attack, but this time I saw Jesus standing there. He didn't close His eyes, He didn’t turn away, it wasn't too ugly for Him to see, He was in the alleyway weeping for His daughter. Then there, in the very same spot where so much pain had been caused, I knelt down and finally let myself mourn. I laid down the bouquet of white tulips, as if standing at a grave, and then walked away. The ‘Me Too’ movement was a global awakening that illuminated the prevalence of sexual abuse amongst women in our society. For some women, these incidents aren’t isolated, and last year I found myself again a victim of assault, but this time I knew better. I immediately reported it to the police, who investigated the incident and circulated footage and a headshot of the perpetrator. To all the amazing women reading this, if anything ever happens to you, report it. You are not to blame, it was not your fault and just because others have gone through even worse circumstances, that doesn’t mean yours is insignificant. I share part of my story believing that God will use it to bring hope to others, and to give testimony to the power of God’s grace. In the words of Isaiah 61, I know God has sent me to “bind up the brokenhearted, to proclaim freedom for the captives and release the prisoners from darkness...to comfort all who mourn, and provide for those who grieve in Zion— to bestow on them a crown of beauty instead of ashes” (paraphrased). 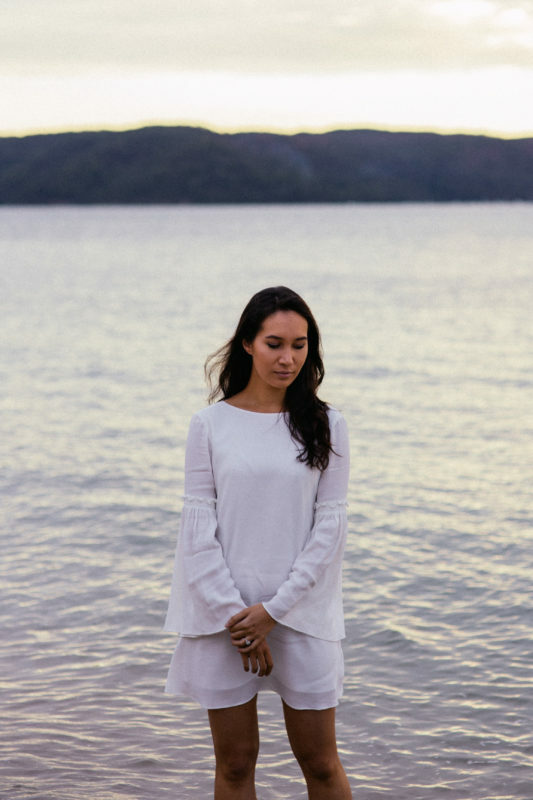 Danielle Sammons is an Executive Assistant to a CEO, raised in Sydney’s Upper North Shore. Along with her husband Reece Sammons, they previously ran the Youth and Young Adults at C3 Burwood before moving over to C3 Oxford Falls which they now call home. Outside of work, Danielle is an artist and budding photographer and is passionate about building a holistic and balanced life.